When you need professional and affordable gutter replacement in Jacksonville, FL, you can count on our local, family owned and operated company. For more than 10 years, Gutters & Covers LLC has been serving the city with residential and commercial gutter work backed by expert craftsmanship and high-quality products. Don't let your home or business go unprotected from the elements. 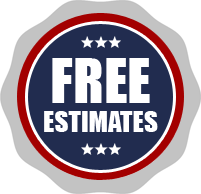 If you are experiencing problems with your gutters, contact us to receive a free estimate. We’ll quote you an honest and affordable rate and offer recommendations if necessary. After experiencing years of wear and tear, professional home gutter replacement may eventually become inevitable. While these often forgotten features of your home don't appear to do a lot, they are extremely important in protecting your home from water damage, mold, and other issues. During rain or thunderstorms, large amounts of water run-off from your roof to the rest of your home. Without properly functioning gutters, different features of your house can take the brunt of this water and become damaged. Our products protect your doors, siding, windows, foundations, yard, and more. When you've decided that your home needs new gutters, we can begin to help you choose the best gutter solution for you. Depending on your home's structure and the type of roof you have, we can provide you with a number of different selections. Designed by a high-performance company, Ply Gem, all of our gutters are sure to meet your home's needs and provide you with complete water damage protection. Ply Gem gutters have been serving homes for more than 70 years and are designed to be low maintenance. We’re not just a gutter replacement company either. Although replacement and installation are some of our most popular services, we’re glad to say that you can rely on us for all of your gutter needs. In addition to gutter replacement, we also perform repairs, install gutter guards, and install soffit and fascia. All of these are necessary for a healthy system, and many are combined with long-lasting warranties that extend coverage over the course of years. We always aim to provide as much peace of mind as possible when customers invest in us, because we understand that gutters are meant to be long-term. Our repair service means you can count on having your new gutters perform well. If ever there should be a problem, just call the same company you trusted to install them and we’ll be right over to have it fixed. We know our products better than anyone and are the most qualified to repair them or install guards to protect them. You can always count on an honest answer from us; we never insist on replacement if repair will work just as well. Get in touch with us today and see what your property needs to stay safe, protected, and dry. How Do You Know When You Need Gutter Replacement? When you notice that water isn’t draining like it used to, it’s likely that your gutters have become compromised or reached the end of their lifespan. If you’re unsure, it’s best to have one of our experts come out and take a look. We can tell you whether it’s time for home gutter replacement and give you a free estimate on what new ones will cost. Your gutters can become damaged due to severe weather such as hurricanes or tropical storms, or they may simply be suffering from the effects of age. 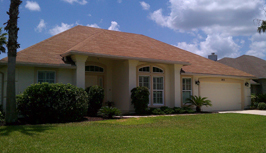 Contact us for gutters you can depend on when the sunshine state gets rainy. We install them on properties all over Jacksonville, Ponte Vedra, St. Augustine, Green Cove Springs, and Neptune Beach, Florida, and the nearby areas.